9/1/2009, New Delhi: Ban Asbestos Network of India (BANI) celebrates the "Tribute of Inspiration Award 2009' that has been conferred to Pralhad Malvadkar and Raghunath Manwar by California based Asbestos Disease Awareness Organization (ADAO) for their commitment to relenetlessly work for the relief of victims of asbestos exposure in India. 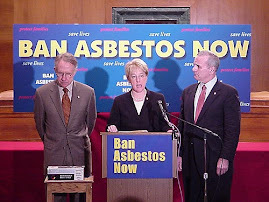 ADAO announced the award on January 8, 2009 for the outstanding work and dedication to asbestos awareness related activities. The winners will receive the awards on the Fifth Annual Asbestos Awareness Day Conference scheduled for March 27 – 29 at the Manhattan Beach Marriott in California. Pralhad Malvadkar, Raghunath Manwar and BANI is working in a political climate where political parties are either hand in glove with the asbestos industry or they themselves own of asbestos companies. 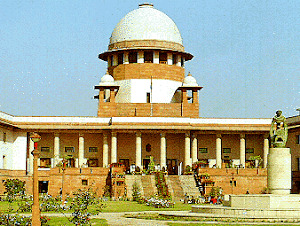 At a time when there is an epidemic of asbestos disease world over, there appears to be political consenus in Indfia to continue expsoing the workers and citizens to the killer fiber in order to safeguard the blood tainted proft for the chrysotle asbestos (white asbestos) industry at any human cost, the acknowldgement by ADAO is indeed quite valuable. Malvadkar is a former genuine trade unionist devoted to occupational health rights currently working with Occupational Health and Safety Centre (OHSC), Mumbai. He is working to fix the a corrupt and ineffective public health insurance system like Employee's State Insurance Scheme (ESIS), a form of contributory health and accident insurance. But ESIS caretakers often ignore patients suffering from occupational diseases. In a recent report titled India's Asbestos Time Bomb co-published by BANI, Dr. V. Murlidhar from OHSC underlined the "Difficulties in the Diagnosis of Asbestosis in India" and deliberate misreporting of asbestosis as TB in full complicity with the industry. It is in such a context his intervetion for the occupational health rights of asbetsos victims is of enormous importance. Manwar, a co-founder of BANI is the secretary of the Occupational Health and Safety Association, a voluntary organisation working with asbestos victims in Ahmedabad. He is organizing workers against the occupational health hazards that prevail in their workplace—a fatal result of the corruption that exists at all levels. Workers commonly contract occupational diseases, including pneumosclerosis, psychoneurotic disorders, skin cancer, and asbestosis, which often remain undiagnosed - or misdiagnosed as asthma or bronchitis. • U.S. Senator Barbara Boxer will be presented with the Tribute of Hope Award for her steadfast commitment and determination to ban asbestos. • Margaret Seminario, AFL/CIO will receive the Tribute of Unity Award for the union's global work to unite, educate and empower asbestos victims, and workers. 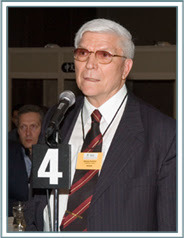 • Dr. Stephen Levin, will be recognized with the Dr. Irving Selikoff Lifetime Achievement Award in honor of his dedicated research into the social and medical impact asbestos has had on humankind. • Pralhad Malvadkar and Raghunath Manwar will be presented with the Tribute of Inspiration Award for being a bridge of hope and strength to victims of asbestos exposure in India and worldwide. 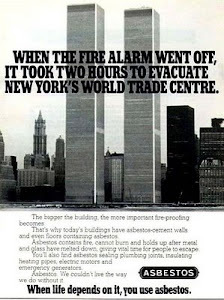 Earlier, European Respiratory Society had warned that "a time bomb in the lungs" may be ticking in developing countries like India where asbestos use is going on unabated and its consumption is rising at an alaraming rate becasue of manifest political patronage the industry enjoys. Maharashtra state illustatres the expansion of this industry despite Maharashtra Pollution Control Board (MPCB) categorically saying, There is no indication of a safe level of exposure and "Exposure to Asbestos can lead to Cancer" there are asbestos factories in the Mumbai, Pune, Kolhapur, Kalyan, Nashik, Thane and Aurangabad region. The companies present in these regions include Hindustan Composite Ltd., Swastik roofing Ltd., Visaka Industries Limited, Kross International, Shakti Roofing Pvt. Ltd, Wilson Roofing Product. Pvt. Ltd., Hydrabad Industries Ltd, Roofit Industries Ltd. Wada Arun Asbestos Pvt. Ltd., Eastwell Asbestos Ind. Pvt. Ltd, Everest Industries Ltd, Bosch Chassis Systems Pvt. Ltd. (formerly Kalyani Breaks Ltd.), Champion Seals) Pvt. Ltd, Mechanical Packing Industries Ltd., Jain asbestos and Capital Commerce Pvt. Ltd. (formerly Rufit Industries Ltd.). 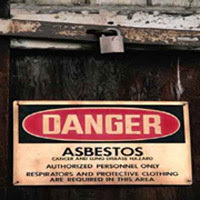 In Nagpur, Amravati, Navi Mumbai and Raigad regions, there is no unit engaged in manufacturing of asbestos but they too cannot be deemed asbetsos free zones because asbestos products are ubiquitous. Similar situation exisits across the country. To make matters worse, Kerela, Tamil Nadu and Assam have state owned asbestos companies and West Bengal government has been busy awarding environmental excellence award to a asbestos company. Almost every state in India is flooded with asbetsos products with no database of asbetsos victims due to deliberate non-reporting by government agencies and non-existence of occupational health infrastructure. Government of India has adopted Ostrich policy and seems to be working very hard to ensure that it does not even appear to be working for the occupational health in general and for the relief of present and future victims of white asbestos in particular. In such a situation, work of likes of Pralhad Malvadkar and Raghunath Manwar assumes huge significance.